Today I am sharing my April 2017 Glossybox! My box arrived about a week ago but I waited to post my unboxing, so I can have time to try all my products to give you a fair review! I'm excited to share with you what I received, so let's get started! full size: $34.00 / 4.2 oz. 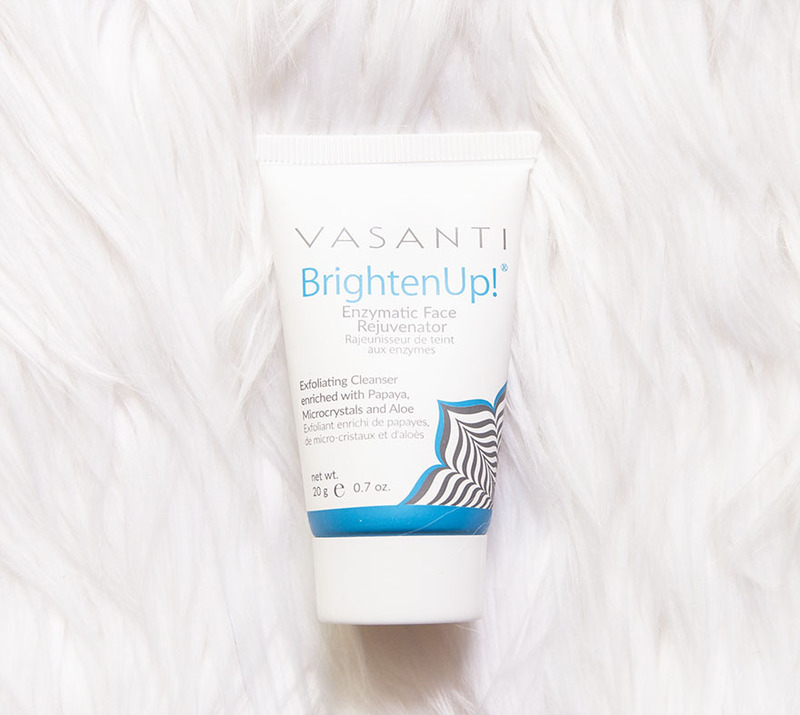 Description: This triple action formula brightens and breaks down dead skin with papaya enzyme, exfoliates with micro-crystals to help smooth your skin's surface, and cleanses with an aloe-enriched cream gel. After using this product for a week, I agree with the description but I found this cleanser to be a bit abrasive. As I was washing my face, I was turned off on how harsh it felt on my skin. Since I have combination skin (I switch from dry during warmer months) and no severe acne problems right now, I don't feel like I need to exfoliate with this every day. But if you're someone who is in dire need to get rid of dead skin cells, brighten your complexion and have yet to find a powerful product that can do so, then I recommend you try this one out. Prior to testing, I stumbled upon in-depth reviews from those who struggle with severe acne problems about how this cleanser really helped them! But as for me, I'll stick with my gentle daily cleanser for now. Description: This thin, lightweight formula smoothly glides on the lips leaving intense pigment with a bold, ultra-matte look. It is long-wearing and 100% kiss-proof! When I found out we were getting not one but TWO ColourPop Ultra Matte liquid lipsticks, I couldn't wait for my Glossybox to arrive! I've never tried a ColourPop product before but I've heard they are good quality cosmetics for a good price and when it comes to makeup, you can't beat that! Right away, I fell in love with the shade, Airplane Mode - a dirty peach color is right up my alley! 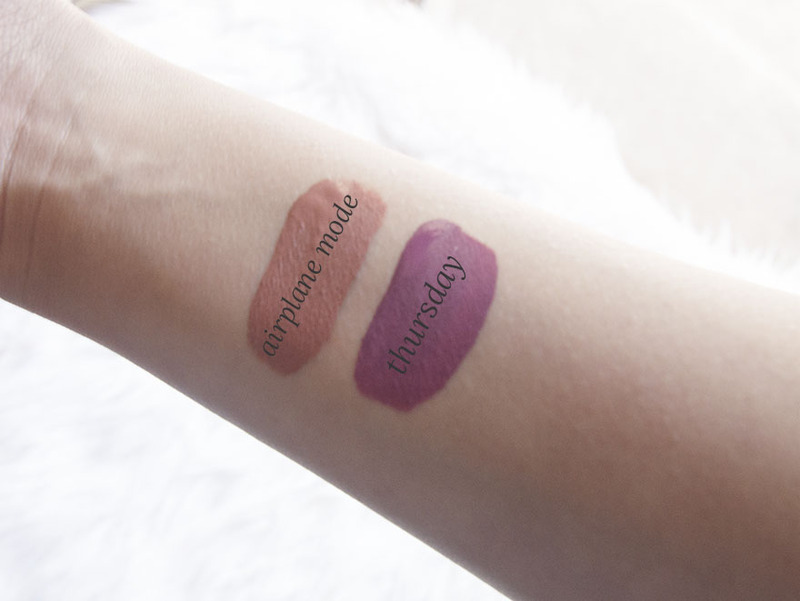 And the second shade I received, Thursday, is also pretty! 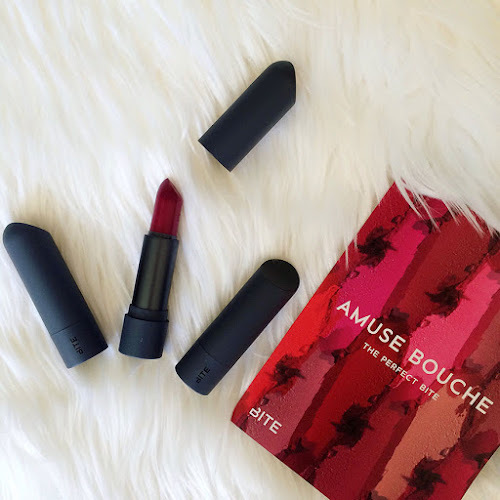 It's a beautiful reddish-violet shade that goes well with every skin tone and one I don't own in my collection. I made sure to exfoliate my lips with a lip scrub before applying for a smoother application. I noticed the applicator is smaller than what I'm used to in a liquid lipstick and I'm a little disappointed about that. When applying, I felt the formula was a little patchy but they are pigmented! I'm amazed how bold these colors are! They're quick drying so I suggest you move fast when applying to your lips and once on, they do not budge! I'm not kidding, it was hard to take off at the end of the day! Even though the colors are bold, beautiful, and they don't transfer, so you are free to do as much kissing as your heart desires, I'm just not a huge fan of an ultra matte lip. I like them, but I don't love them. 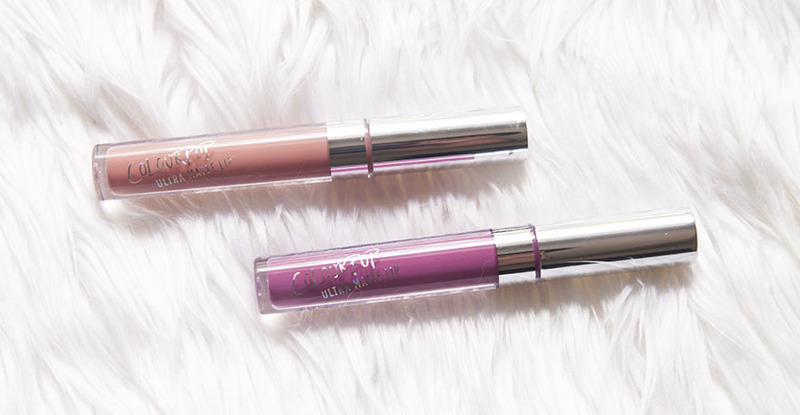 That is mainly due to the fact that I have a lot of lines on my lips and matte lipsticks tend to bring that out, and these ColourPop ones are no exception. I'm more of a satin and gloss kind of gal. Though that doesn't mean I won't rock a matte lip! I'm defintely going to make use of these shades; I'm thinking about creating a makeup look that will match well with Thursday! What are your thoughts on matte lips? Description: Intensify your lashes with outrageous volume and length! 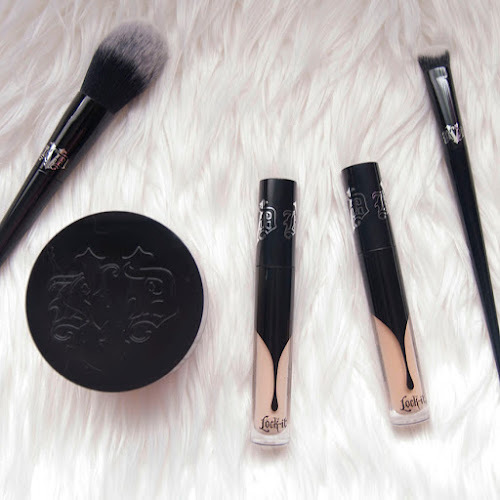 The XL brush fiber bristles glide through the lashes evenly, coating each with the velvet carbon black formula that enhances the lashes by adding depth and dimension. I think I found my new favorite mascara to replace my old favorite one! Mascara is one of the makeup products I struggle with because my lashes are small and I feel like I don't have enough of them. They are also stubborn and it's difficult to find a mascara that can manipulate them. That is why I'm thrilled about this one and shout out to Glossybox for hooking it up! 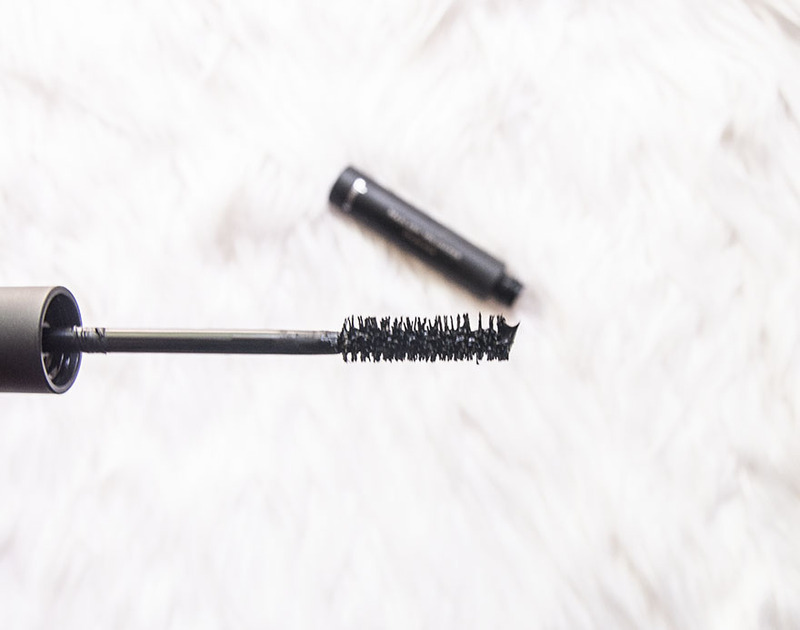 The wand is perfectly full size with fuller bristles that do a good job at grabbing my lashes. 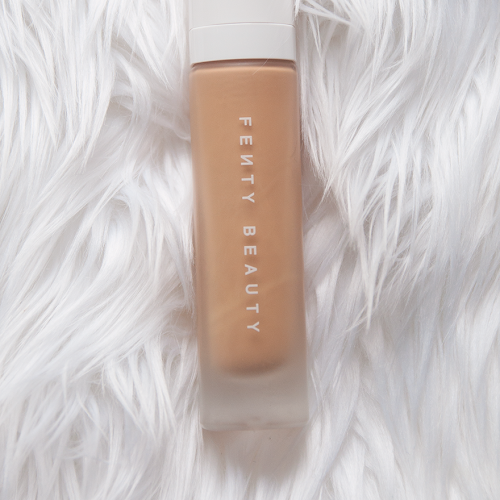 The formula is very creamy and buildable without causing it to clump up. It also gives my lashes length and makes them look a lot fuller. It dries fast, last for a long time and most importantly, it's flake proof! 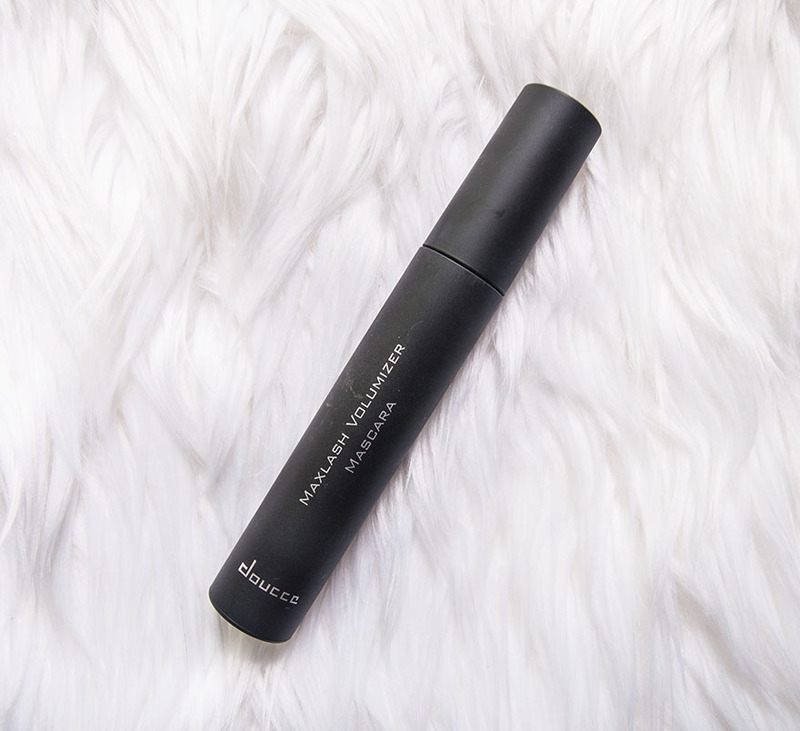 I'm in love with this mascara and I'm so glad I get to share it with you! The next makeup tutorial I create, I will certainly be using this mascara! 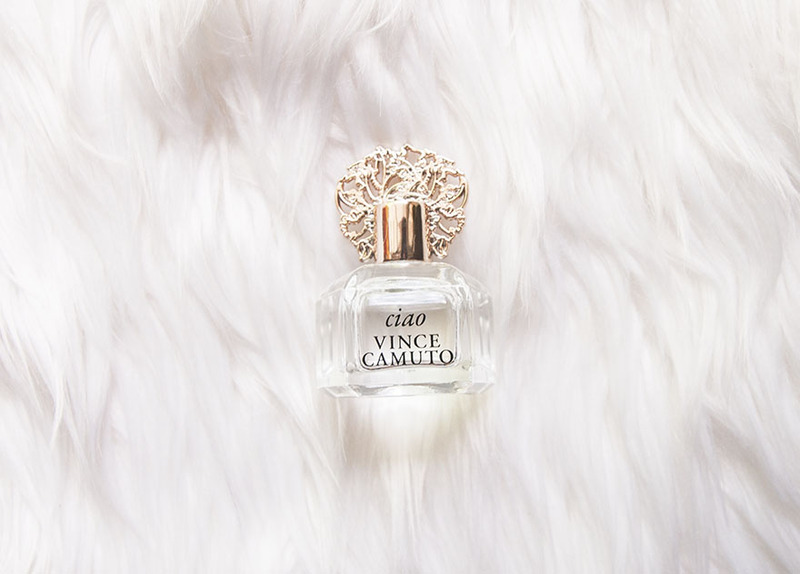 Description: Ciao celebrates the spontaneity and energy of the modern woman's lifestyle! With notes including Italian Mandarin, rose, jasmine, Indonesian Patchouli and Glowing Amber, this is sure to become your new favorite scent! I agree this became my new favorite scent! It's a sweet, floral, youthful scent. Every time I wear it, I think of spring and summer. It's not overpowering and it gracefully lingers throughout the day. Just the sample bottle is beautiful but now I wish I had the full size! full size shower gel & body lotion: $16.00 / 8.0 oz. 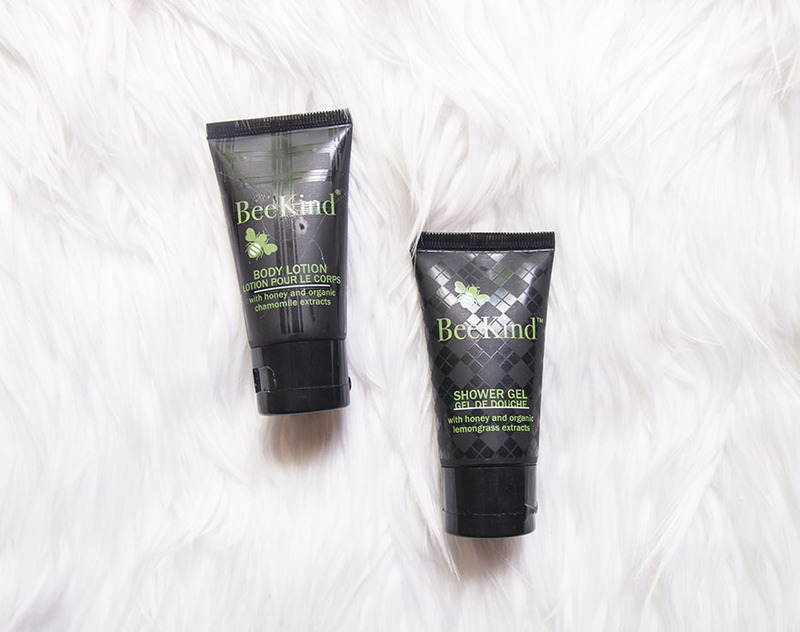 Description: With a fresh lemon verbena fragrance and extracts of honey and certified organic calendula extracts, Gilchrist & Soames' BeeKind Shower Gel and Body Lotion are as soothing as they are eco-friendly. 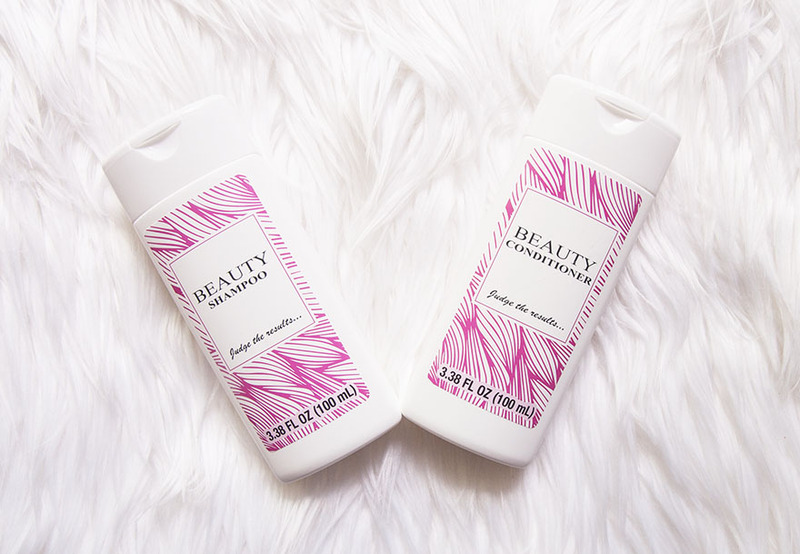 I tried both the shower gel and body lotion and I really enjoyed them! I appreciate that they both have a light, fresh lemon fragrance and one doesn't smell different than the other. The shower gel was able to get nice and sudsy as I rubbed it into my loofah which I liked. The lotion glides on smoothly and doesn't feel sticky or leave any residue. My skin felt smooth, clean and fresh after one shower! Side note: This company supports honey bee and sustainable pollination research at the University of California at Davis Entomology Department by donating a portion of the proceeds from the sales of the BeeKind Collection to the University's Honey Bee Research Program. Description: The Beauty Shampoo and Conditioner work with all hair types and is safe for everyday use and for color-treated hair. Leaving you with soft, smooth, healthy and great-smelling hair, the brand might be a mystery but you'll soon find out what is it! I'm eager to find out what brand this is because I love this shampoo and conditioner! A little bit goes a long way with the shampoo and it creates a rich lather. The conditioner leaves my hair feeling soft and supple; I can run my fingers through my thick hair! They both smell wonderful! Surveys are out now for subscribers to give feedback and once I find out who this brand is, I'll come back and update you! I am more than satified with my Glossybox this month! 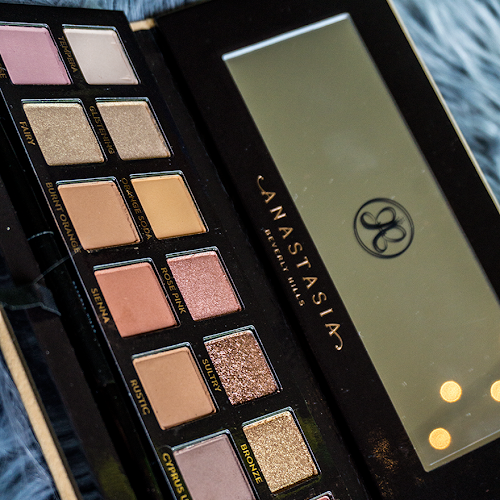 I love being introduced to new brands I haven't tried before and playing with new products! I'm also glad all of these turned out to be useful to me! Thank you so much for stopping by and seeing all the goodies that were in my box! If you've tried Glossybox or any other subscription box, please let me know in the comments below! They are awesome! Thank you! Much love for these products, especially the colourpop matte lipstick, the colours are so lovely!